As the weather warms up, there’s nothing better than sipping a cool drink on the patio. 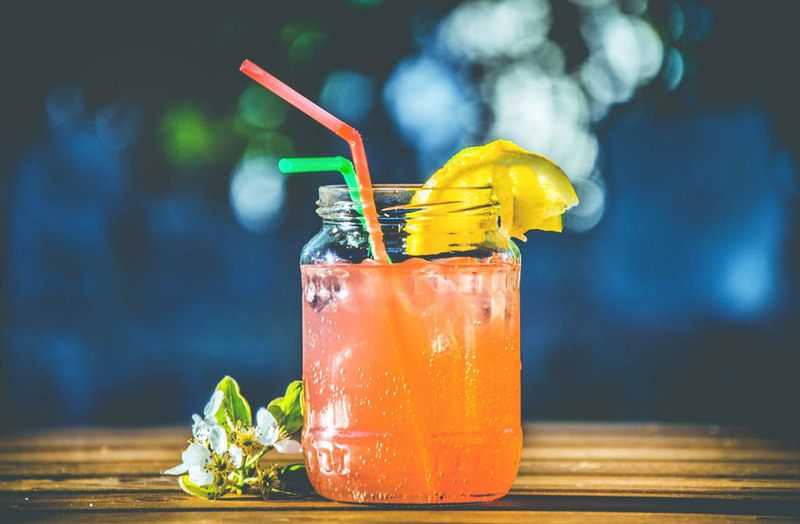 We all have our favorite, go-to thirst-quenchers like fresh-squeezed lemonade or ice-cold sweet tea, but the sky’s the limit when it comes to whipping up a glass or pitcher of something tasty and refreshing to beat the heat! Need inspiration? Check out Scentsy’s Spring/Summer 2017 New Releases. Fragrances like Kiwifruit, Lemon Sorbet and Passion Fruit Colada can really get your creative juices flowing — and mouth watering! Using a blender, mix the ice cubes, kiwifruits, lemon juice, sugar and water until smooth. Pour into martini glasses and garnish with the kiwi slices. Place four scoops sorbet in a tall glass. Add lemon/lime slices. Top with lemonade, sparking water and crushed ice (if using). Garnish with mint sprigs. Combine ice, passion fruit juice and cream of coconut in a blender and blend until smooth. How do you cool off when temperatures soar? Share your favorite summer sippers in the comments below! Just in time for these HOT Summer nights!